The horror of the killing fields in Rwanda gave rise to the Responsibility to Protect Doctrine. In a word, if such mass atrocity crimes are being committed, and the state where these crimes are occurring is unwilling or unable to act -- or worse, is the author of such international crimes -- the Responsibility to Protect arises. Recently the United Nations General Assembly marked the 22nd anniversary of the genocide in Rwanda, where one million Rwandans -- mostly ethnic Tutsis -- were murdered in less than 100 days. What makes the genocide in Rwanda so unspeakable is not only the horror of the genocide itself, but that this genocide was preventable. No one can say that we did not know; we knew, but we did not act. The horror of the killing fields in Rwanda -- and other mass atrocities of the 20th century in which the international community played the role of bystander -- gave rise to the Responsibility to Protect Doctrine (R2P). The R2P doctrine -- adopted unanimously in the UN 2005 World Summit Outcome Document -- mandates international action to "protect a state's population from genocide, war crimes, crimes against humanity and ethnic cleansing." In a word, if such mass atrocity crimes are being committed, and the state where these crimes are occurring is unwilling or unable to act -- or worse, is the author of such international crimes -- the Responsibility to Protect arises. Yet, as we enter upon the sixth year of the continuing crimes against humanity perpetrated in Syria, the international community has clearly failed to heed the lessons of past tragedies. Indeed, if mass atrocities in Syria -- with 500,000 killed, 12.5 million displaced, five million refugees -- are not a case for R2P, then there is no R2P. 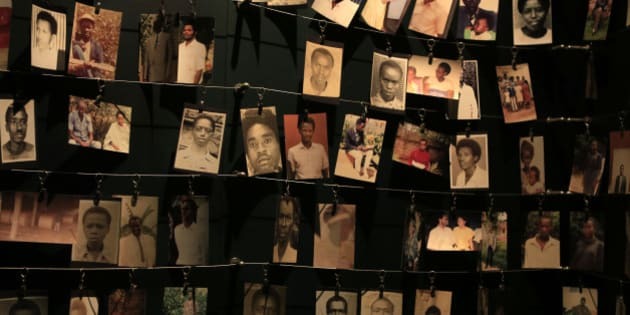 Accordingly, the lessons of the genocide in Rwanda can pour content into what the Responsibility to Protect entails -- and frame our responses to the compelling questions: What have we learned and what must be done? The first lesson is the importance -- and responsibility -- of remembrance itself, of bearing witness to our collective failure to act. And more: The mass murder of one million Rwandans -- of 10,000 Tutsis being murdered every day for three months -- is not a matter of abstract statistics. As we say at such moments of remembrance -- unto every person there is a name, each person has an identity, each person is a universe. As our sages tell us, if you save a single person, it is as if you have saved an entire universe. And so, the abiding moral imperative that underpins R2P: We are each, wherever we are, the guarantors of each other's destiny. The second enduring lesson from the Rwandan genocide -- not unlike the Holocaust -- is that it occurred not only because of the machinery of death, but because of state-sanctioned incitement to hate and genocide. Hence the theme of this year's United Nations Commemoration "Fighting Genocide Ideology." Indeed, as the Supreme Court of Canada recognized, and as echoed by the International Criminal Tribunals for Rwanda, the Holocaust did not begin in the gas chambers -- it began with words. As the jurisprudence of the Rwandan tribunals demonstrated, these acts of genocide were preceded by state-orchestrated demonization and dehumanization of minority Tutsi populations as "inyenzi" -- cockroaches. Accordingly, the international community must bear in mind -- as Canadian and international jurisprudence has also affirmed -- that incitement to genocide is a crime in and of itself. Taking action to prevent it -- "Fighting Genocide Ideology" -- as the Genocide Convention compels us, is not a policy option; it is an international legal obligation of the highest order. And so the Responsibility to Prevent must be a centerpiece of the Responsibility to Protect. The third lesson is the danger of indifference and the consequences of inaction -- hence the Responsibility to Act. Simply put, while the U.N. Security Council and the international community dithered and delayed, Rwandans were dying. The fourth lesson is the danger of a culture of impunity, and therefore the importance of the responsibility to bring war criminals to justice. If the past century was the age of atrocity, it was also the age of impunity. Few of the perpetrators have been brought to justice. Just as there cannot be sanctuary for hate or refuge for bigotry, neither can there be haven or sanctuary for the perpetrators of the worst crimes against humanity. The fifth lesson is the danger of the vulnerability of the powerless and the powerlessness of the vulnerable -- the brutalized children, the violated women, the slaughter of innocents -- all the first targets of mass atrocity crimes. It is therefore our responsibility to empower the powerless while giving voice to the voiceless. Indeed, the test of a just society is how it protects its most vulnerable. The sixth lesson is the cruelty of genocide denial -- a criminal conspiracy to erase and whitewash the horror of the genocide in Rwanda. In its most obscene form, genocide denial actually accuses the victim of falsifying the crime -- of perpetrating a "hoax." And so, we have a responsibility -- le devoir de memoire -- to remember the victims of genocide and other mass atrocity crimes -- itself a repudiation of such denial. Seventh is the importance -- indeed, responsibility -- of remembering the heroic rescuers -- those who confronted and resisted evil -- who remind us of the range of humanity and human possibility that prevailed in the face of evil -- and thereby transformed history. Eight is the Responsibility to Rehabilitate -- a constituent of R2P -- to not abandon the victims and survivors to the carnage of atrocity, but to engage in the necessary humanitarian assistance and relief -- the obligation to rebuild. While the implementation of the Responsibility to Protect remains as inadequate as it is incomplete, we must learn -- and most importantly act upon -- the lessons of the crime whose name we should even shudder to mention: genocide. We owe it to the memory of those killed in the Rwandan genocide to act upon R2P, before yet another life is lost to international indifference and inaction. Irwin Cotler is Emeritus Professor of Law at McGill University and recently founded the Raoul Wallenberg Centre for Huna Rights. A former Minister of Justice and Attorney General of Canada and Member of Parliament. He moved the motion which received unanimous consent to establish April 7th as a National Day of Reflection on the Prevention of Genocide.